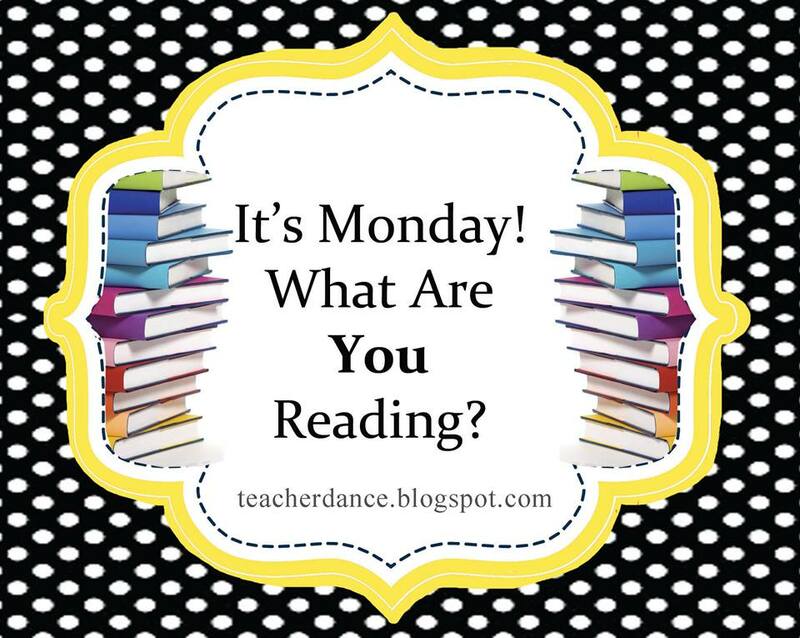 TeacherDance: It's Monday - More Good Books! This first book was in the top ten of the best fiction books of 2013, thus meeting the award challenge from Myra, Iphigene and Fats at the blog, Gathering Books. 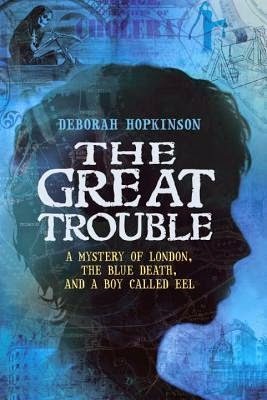 Deborah Hopkinson has interwoven her story of Eel, a thirteen-year-old homeless boy, a “riverfinder”, into the true story of Dr. John Snow’s discovery in the mid 1800’s that cholera is a water-borne disease. It is a middle-grade book and the plot events happening to the young people in the story seems fanciful, yet I enjoyed it as it also told of this terrible time when most people thought the “blue death” came from air, the horrible miasma from unclean and close living, mostly in poorer areas of big cities. “Riverfinders” were both adults and children on the streets, smelly and filthy because they earned what pennies they could by going through the muck by the river to find the few things, like pieces of coal, they could sell. They slept where they found a place that seemed safe; earned it or fought for it. What a life! Eel’s life took different turns in the story. Luckily for him, he had gone to school for a while before both his parents died. He knew how to read and write! In this story, he ends up working as Dr. Snow’s assistant, and it turns out to be helpful to Dr. Snow and to Eel’s life. You’ll need to read the book to discover more about London at this time, and the brief few days when cholera struck and killed over 600 people. Middle grade students will enjoy the intrigue and the setting very much. A young boy in the US loves his bicycle, “Big Red”, but he outgrows it, and decides to donate it to an organization that ships bicycles to Africa. The bicycle’s new owners are shown in several communities, and its usefulness is one to note for the children in the US especially. The first owner is grateful because “Big Red” helps a young girl to move more quickly to her family’s sorghum fields and then to market. That’s not the only home for this bicycle, and children will be interested in seeing its travels on a map at the back of the book. The author has also added ideas for recycling bicycles. Illustrations by Simone Shin are colorful and details, showing the contrast among the communities. Originally published in 1976, this edition has new illustrations, sweet little kids wearing and celebrating loads of old clothes. 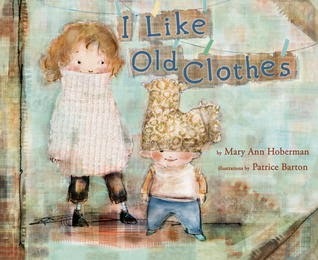 Written in verse, each page shows some new thought about the clothes, old and pretty party clothes, outgrown “Sweaters and shirts/That are brother-and-sistery”. My favorite lines are “Not-so-new clothes,/Where were you clothes.” One focus is the history of the clothes, the wondering of where they’ve lived and who wore them? I imagine wonderful conversations after reading this book to a group of young children. With cute, happy animals, Eileen Spinelli has shown a way to introduce going green to young children through a story of Miss Fox leading her class in doing many things that help the environment. She begins by riding her bicycle to school, and the kids see her and ask if she might have a flat tire. No, she says, but then explains that cars pollute the air, and she’s decided to drive less. Soon the class all have some ways to help, and also notice ways outside of school when they visit others. The illustrations are colorful and filled with action, a fun book. Next: At the urging of my students, I'm reading Ready Player One by Ernest Cline. So far, quite intriguing. I can see why some have loved it. After that, Pam Munoz Ryan's Echo! I loved Goodbye Stranger! Stead's ability to create characters that grab you and hold you are amazing. The Great Trouble sounds really promising. I'm looking forward to that one. 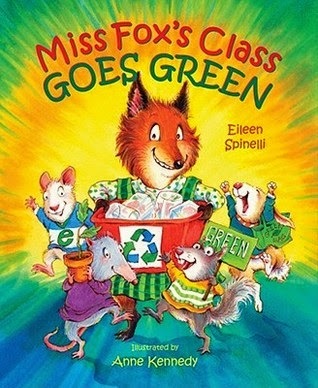 I read Miss Fox's Class Goes Green during Earth Day week. 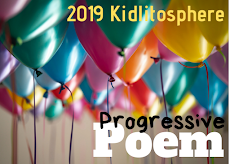 It's a lovely title and one that our students enjoyed. I'm waiting for The Red Bicycle to arrive in our library. Glad you liked Goodbye Stranger, too, Cheriee. What fun it was to read and discover those characters! And happy to hear that someone has used the Miss Fox book. I thought it was delightful! Thanks! I really enjoyed Ready Player One when I read it. I also enjoyed The Great Trouble. I had both of them as ARCs. Here is what my week looked like. Have a wonderful week! Happy that you've enjoyed both, Kathy. There are so many good ones available to us! Thanks! Thanks for your review of Goodbye Stranger. I have it too, and I'm looking forward to reading it in June. I've heard some good and some eh things about it. It's my first Rebecca Stead book. I have a couple of hers, but haven't gotten to them yet. I think I'll read this one first. Can't wait to hear your thoughts on Echo! Thanks, Michele, I know that some wonder about Stead's choices in plot, but I enjoy her new ways of writing. I am looking forward to Echo, too, but need to finish Ready Player One first, and amidst all the chaos of school ending-whew! Hopkinson is joining our Family Book Club in June. Excited for that. I've only seen crazy wild positive reviews for Stead's new book so once I finish Theodore Boone, I might start on that. Exciting to meet Deborah Hopkinson. I've enjoyed her books a lot, Earl. Hope you like Goodbye Stranger; Stead is such an interesting writer! Thanks! I am intrigued by The Red Bicycle. I will definitely have to check that one out. It was a good story, telling things I didn't know, would begin a good conversation, I think, Beth. It looks like you've read some good books! I, too, have Goodbye, Stranger in my list on Netgalley, and am excited to read it. 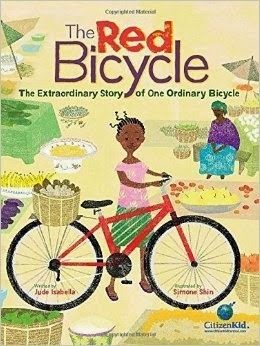 I'm definitely going to have to look into The Red Bicycle-- it sounds like a great book to have for teaching/discussing empathy. I'll be interested to hear about Ready Player One, and I hope you'll love Echo as much as I did! I know I'll love Echo, Virginia. It sounds good and I do love Pam Munoz Ryan's writing! Thanks! Stead is one of my favorite authors--can't wait for her new novel! I liked The Red Bicycle but found it much too long! I have limited patience for text in PBs. Long is good if it's beautifully written or full of details and information, but I thought there was no reason for Red Bicycle to be so long. I need to read Ready Player One so I can booktalk in my Adolescent Lit course. I think I'd have a number of students every year who would read it. I suspect your students will love Ready Player One. It is certainly edgy YA, but intriguing enough that I keep reading! Thanks, Elisabeth! We can't wait to read The Goodbye Stranger - It sounds amazing. We also love the way you described The Red Bicycle. Both of these books sound like they will spark important conversations with students. Yes I think they will, for different ages, and for different reasons. Yay for The Red Bicycle! I love the story and the theme! 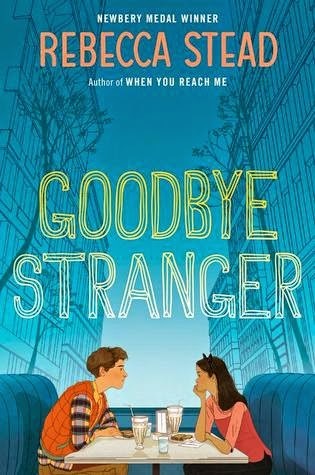 I have Goodbye Stranger on my fall TBR list, and I also have always wanted to read The Great Trouble--thank you for showing me that I need to move them up my list. I enjoy Deborah Hopkinson's writing, Kellee. She writes a good story based on interesting research. Hope you like all of these! I've wanted to read Goodbye Stranger since I saw it on NetGalley. 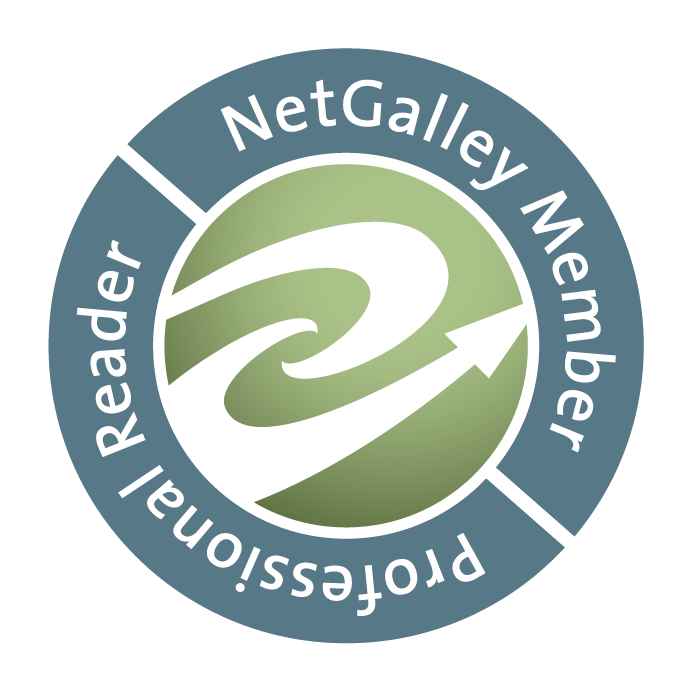 I decided I needed to slow down on NetGalley because I have gone a bit crazy. I am glad it is just as compelling as her other works! 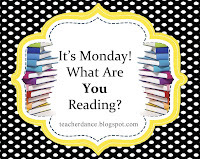 Have a terrific reading week! I'm trying hard to be choosy about the books from NetGalley, agreed, Ricki. I know already I've missed some that are on the list. Enjoy the Stead book when you can! Looking forward to the Red Bicycle, and you can't go wrong with Eileen Spinnelli! Thanks for the reviews, Linda! Thanks, Jane. Enjoy The Red Bicycle, a thoughtful story. Goodbye Stranger is a title I can't wait to read. I am such a Stead fan. I loved the other two novels of hers that I have read so much. Yes, she is worth waiting for for sure, Carrie. I remember downloading Liar and Spy because I didn't want to wait any longer. Hope you love this new edition of I Love Old Clothes. It's just so cute, Adrienne. Happy to hear that kids liked The Great Trouble. As you can see, I did enjoy it a lot! Thanks, Jessica. I'm glad you love the poem. I think you commented on the wrong Monday post, FYI, but hope you can go back to find that cat book!